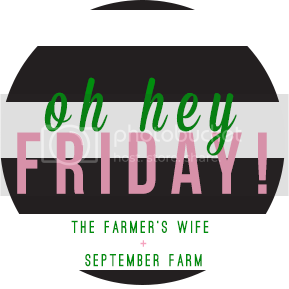 I look forward to this post every single week...mostly because I am so excited when we finally reach Friday! 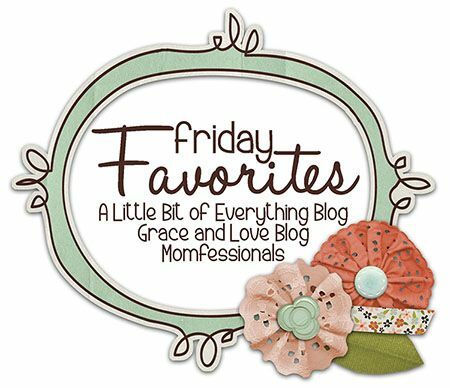 As usual, there were a ton of favorites this week! Here are my top five! Even though it gets warm in the middle of the day, the mornings are crisp and feel like fall! We need hoodies or jackets on our morning walk! My girls are loving these cool mornings, and I am loving the fact that the AC has been turned off for a week now! Last Sunday, Lacie and Blakely wanted to wear these sweatshirts which say their names. They were awesome first birthday gifts from our cousins! You can get them at Personalization Mall which is one of my all time favorite websites to order gifts for everyone from babies to grandparents! And I promise you this sweatshirt is adorable! I made this cake a few days ago and it is easily one of my new favorites! The cake itself is 4 ingredients! And the glaze that goes on top is optional but it is also another 4 ingredients! This was crazy easy to make and we are loving it! You can find the recipe here! I know I talked about these particular PJs before, but the other night was the first night that it was cool enough to wear the pajamas...and they looked even cuter once I put them on! 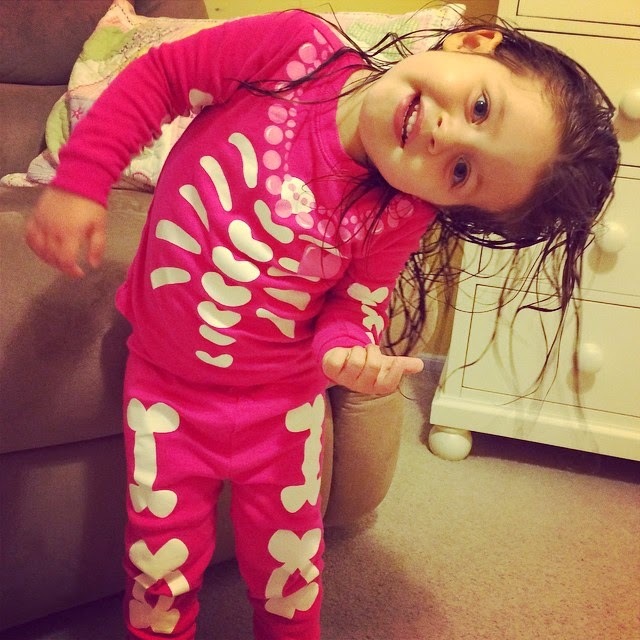 The girls got a few other pairs of Halloween pajamas from our Aunt this week, so there will be lots more Halloween PJ fun in the coming weeks! Earlier in the week, I features a detailed post about some of my kitchen essentials since it is a question I get asked a lot by readers! You can find the post by clicking here! It's a simple list of kitchen tools that I absolutely cannot live without! When you're pregnant, you're only allowed one cup of caffeine per day (per my doctors recommendation). *sigh* This is really really hard for someone like me who loves coffee. So I have settled for having a second cup of decaf coffee everyday...but that still wasn't cutting it! I needed another warm beverage as we head into fall - and I don't really like tea (it kinda just reminds me of being sick...). So I decided to get some Hot Chocolate...there's a K-Cup for that! Best decision ever! And what makes my hot chocolate even better are the amazing Kraft Pumpkin Marshmallows that I found (in the seasonal aisle at Wegmans). Seriously, you need to find these things! Fall is my favorite! We don't have fall weather here in Texas yet but I love it and can't wait! I wish they made those pj's in adult sizes! Halloween pjs are my faaaaaaaaaave! So cute! Our mornings are hoodie weather as well, but then we are hitting 90 by the afternoon. Crazy weather! I LOVE hot chocolate, it's my fave!